Biobanks have witnessed tremendous advances in terms of analytical tools and knowledge, resulting in the generation of a large amount of data. Managing such voluminous data requires a technologically powerful, robust and efficient tool such as LIMS. 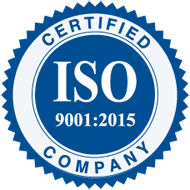 Biobanking LIMS helps achieve this goal by offering a robust, secure and centralized system that facilitates an efficient and secure method of storing and sharing of clinical data. However, for the efficient management of clinical specimens and the associated meta data, it is necessary for the biobanking LIMS to follow certain ethical and regulatory standards. 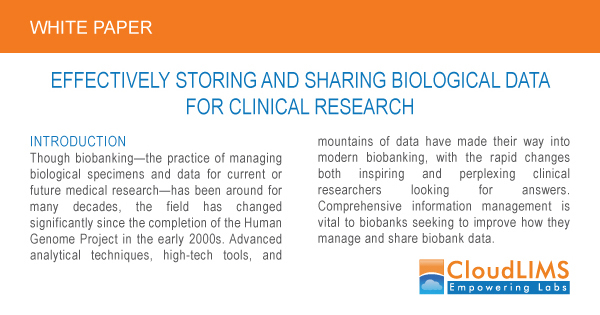 In the present paper, we have highlighted the role of LIMS for efficient storage and sharing of clinical data. 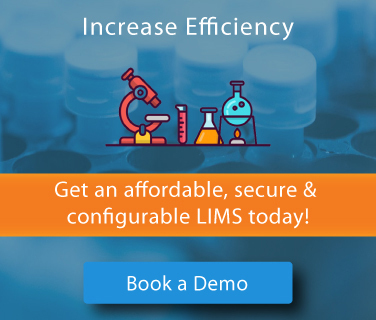 Additionally, the challenges that arise while storing and sharing data and the criteria for choosing and implementing a LIMS are also discussed.